If you used your credit card to buy a coffee in Montreal, and a minute later to buy three dishwashers in Shanghai, that transaction would most likely be blocked. This is thanks to fraud-detecting machines put in place to protect both customers and institutions – in other words, the application of modern-day artificial intelligence (AI). While AI is often discussed as a new phenomenon, it began long before 2018, says Chadi Habib, executive vice-president of information technology at Desjardins Group. Mr. Habib was part of a four-person panel speaking on the ethics of AI and fintech at the Advocis Financial Symposium held in Toronto in November. As publicly traded financial institutions report significant investments in technology and continue to ramp up spending, advisors are becoming increasingly interested in how emerging technologies with artificial intelligence applications can enhance their businesses. 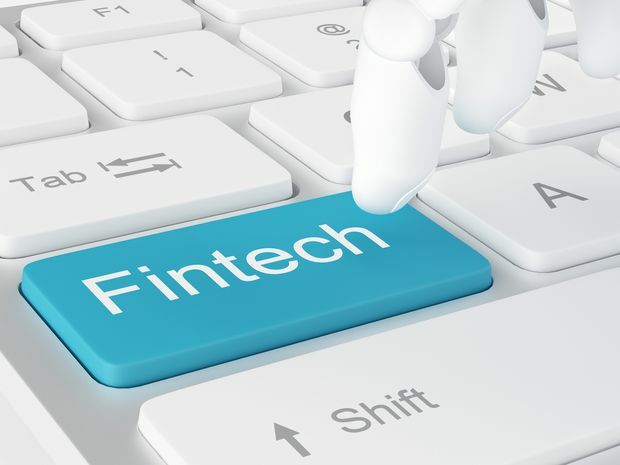 According to November reports from research firm Venture Scanner, a total of $188-billion was invested in the broad categories of AI, fintech and insure-tech in the past quarter alone. “Obviously, no senior officer or board member would support these levels of spending without a reasonable expectation of increased shareholder value resulting from the investment,” says Curtis Findlay, president of Compfin Management and chair of the Advocis technology task force. Mr. Habib suggests current technologies can also help advisors go a step beyond in supporting clients’ financial health over their lifetime by predicting and preparing for major life events. “Historically, my advisor might talk to me about putting money in an RRSP and what a mutual fund would look like. Frankly, most consumers don’t think that way. I haven’t met anybody who stays awake at night analyzing the terms and conditions of their mutual funds. “People dream of acquiring property or having enough money for retirement. As a new parent, I’d like our newborn baby to be able to attend any school he wants in 18 years. So what’s the path to get us there?” he asks. Despite fears that AI will lead to the automation of all exchanges, Mr. Habib believes there will always be a need for meaningful human interaction. “We do not believe in 100-per-cent virtual advice. There are moments in our lives where it’s critical to interact with a human being, like when you’re buying a home for the first time, but clients want that to happen on their own terms. On the flip side, Mr. Habib urges advisors not to subscribe to the myth that older demographics cannot go digital. “Some of our earliest adopters are over age 65,” he says. “Baby boomers can be as digital as everybody else, but accompanying them in this transition is vital. Rather than assuming their clients will never embrace emerging technologies, advisors must consider how mass acceptance occurs only after the device becomes reliable, Mr. Findlay says. “Those clients you doubt will embrace the new technology may have driven to your office using navigation software in their hybrid cars. When navigation equipment was first introduced, we often found it to be incorrect and difficult to trust, but now most people use navigation in their car system or phone quite regularly,” he says. “How long will it be until you are hearing your clients ask if you offer wearable financial monitoring devices? Whether you utilize facial recognition software for risk-tolerance assessment, or perhaps client DIY voice-activated retirement planning software? However, advisors should exercise caution. Mr. Findlay gives the example of a patient walking into an optometrist’s office to get their eyes tested. Although their eyeglasses prescription can be determined by a digital assessment, they still undergo a traditional eye exam to ensure the doctor’s professional opinion is in accordance with it.